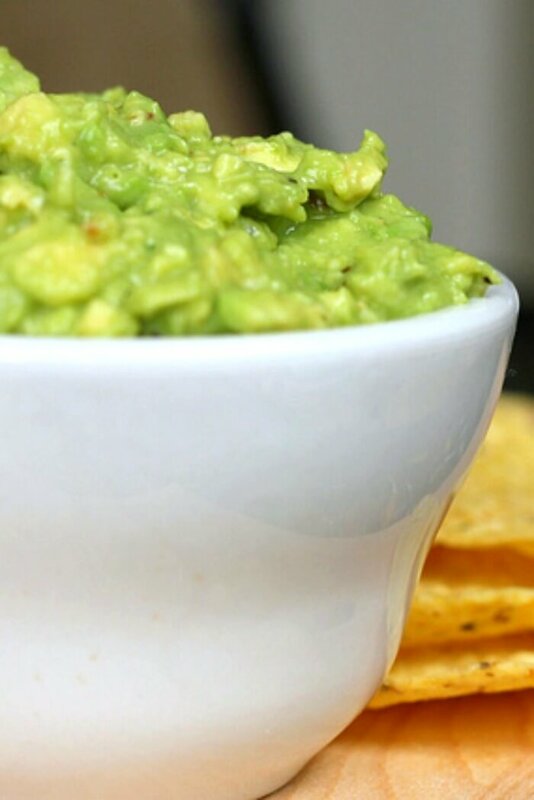 Guacamole is easy to make and delicious with chips, tacos, or just on a spoon! Guacamole is one of my favorite things to eat ever. I always pay extra for guac when we’re out. But with this easy guacamole recipe you won’t have to. Only three ingredients and tastes fantastic! Make our guacamole with taquitos, fish tacos, or our chicken nachos recipe! Avocados – We like haas avocados (versus Florida avocados) because they have a high fat content and are richer in flavor. Florida avocados tend to be on the sweeter side too. That said, in a pinch you can substitute Florida avocados just make sure to check the size as Florida avocados are much bigger than Haas. Limes – The trick to getting the most juice from your limes is to microwave them for a few seconds before squeezing. I like a lot of lime flavor in my guacamole, but it’s easy to adjust if you don’t. Seasoning – The secret to this awesome guacamole is the seasoning! We use a packet of Italian salad dressing seasoning to make quick delicious work of the recipe. 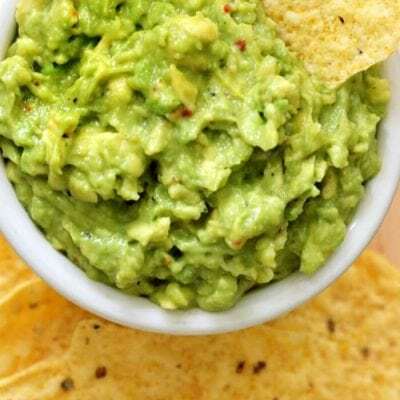 Spicy guacamole – Add some pickled jalapeno for guacamole with a kick. Veggie guacamole – Chop some fresh tomato, onion, and green pepper to make a fun chunky extra healthy guac. Creamy guacamole – Stir in some cilantro garlic sauce or sour cream to make a yummy creamy guacamole sauce. 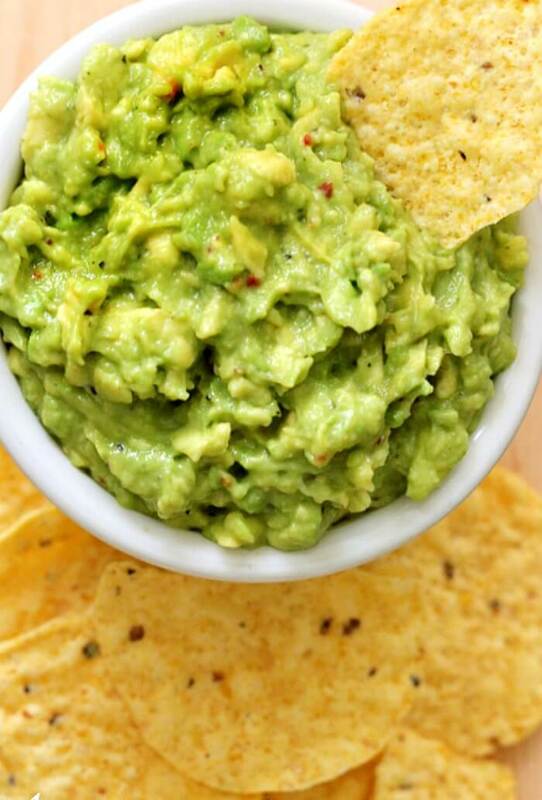 Guacamole is easy to make! First peel and pit the avocados. Then, in a bowl, cube or smash the avocado (I like mine smashed). Sprinkle the seasoning, and finally stir in the lime juice! The benefits of eating guacamole are that it’s made mostly of avocados so it’s super filling and full of great healthy fats. Avocados are also loaded with fiber and have more potassium than bananas. The ketogenic diet is a high-fat, adequate-protein, low-carbohydrate diet. With only 2 net carbohydrates per 100 grams, the avocado (and therefore guacamole) is on the list of acceptable keto diet foods. Avocados are low in saturated fats and have no sodium or cholesterol. Eating avocados may also help with controlling hypertension. 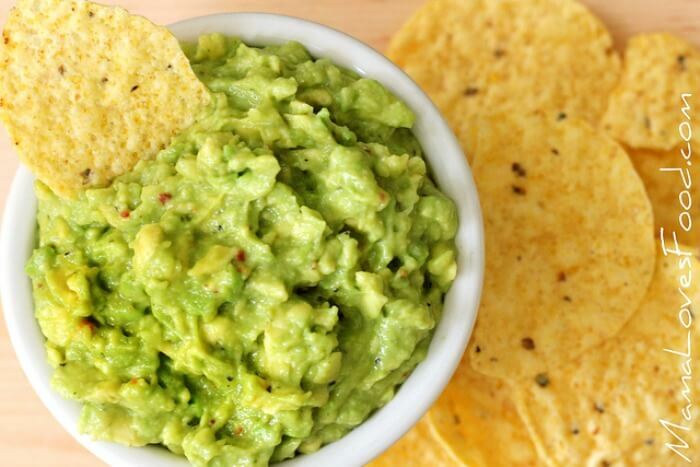 The trick to keep guacamole from turning brown is by adding acid to it. In this case we use lime juice to keep it from turning brown. 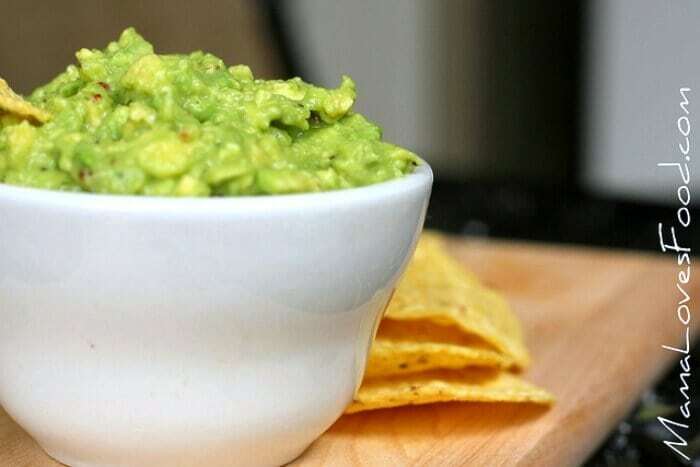 If you want to make your guacamole ahead of time and keep it from turning brown, pour water with a little bit of lime juice over the prepared guacamole and then just pour it off and mix gently before serving. Guacamole is best stored in an air tight container. Oxygen is the enemy of guacamole as that is what makes the guacamole oxidize and turn brown. Guacamole will stay good in the refrigerator for 2 – 3 days, and in the freezer for up to six months. 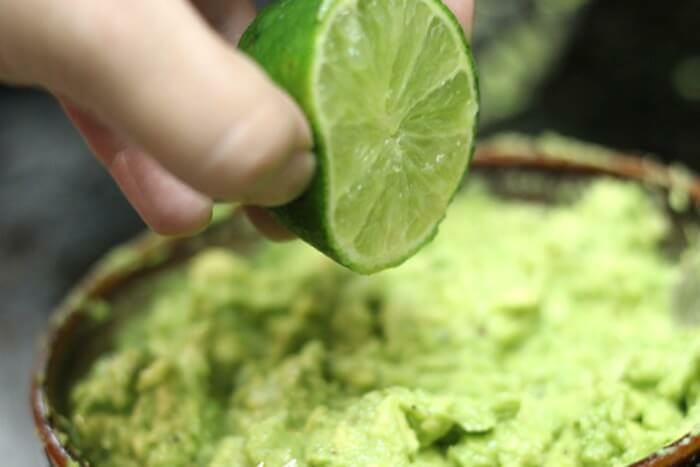 Make sure to cover your guacamole with a layer of water and lime juice so it doesn’t turn brown. Guacamole can be frozen. Store it in a freezer bag and squeeze all the air out before putting it in the freezer. I like to lay the bag flat and spread the guacamole out flat so it will defrost quickly when we’re ready to enjoy. Electric mixer – I love love love love love (x’s 100) my stand mixer. Really and truly. But my daily work horse is this handheld electric mixer. It even comes in allll the colors. Which, yay! Add ingredients to a bowl and smash until well mixed. I LOVE Guac!!! And this recipe looks amazing!!! Can’t wait to try it!! I could eat this every day and never tire of it! LONG LIVE THE GUAC! Thank you so much for reposting this rec. I can’t find my copy anywhere. you’re so very welcome! enjoy the guacamole! I will. This is the best! 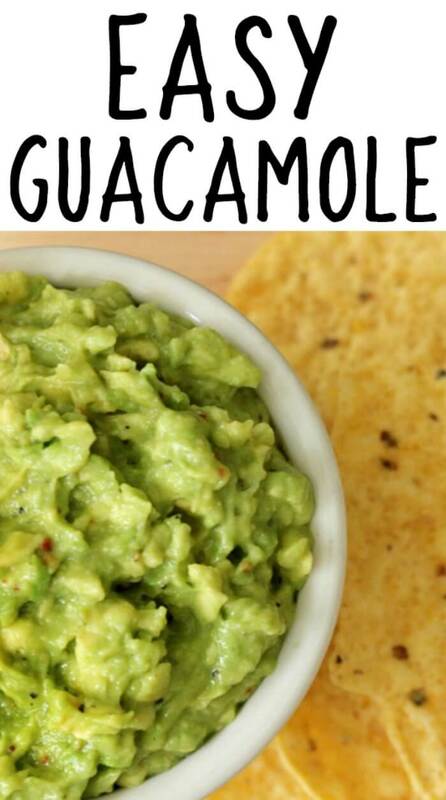 I honestly didn’t like guac until I tried this recipe. do you freeze the avocado whole or when you have added your ingredients? ?